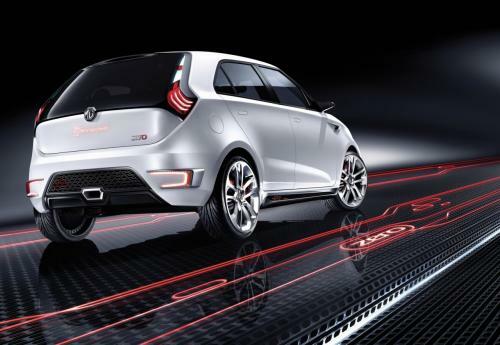 Crisp and exciting frontal styling for the MG ZERO Concept. 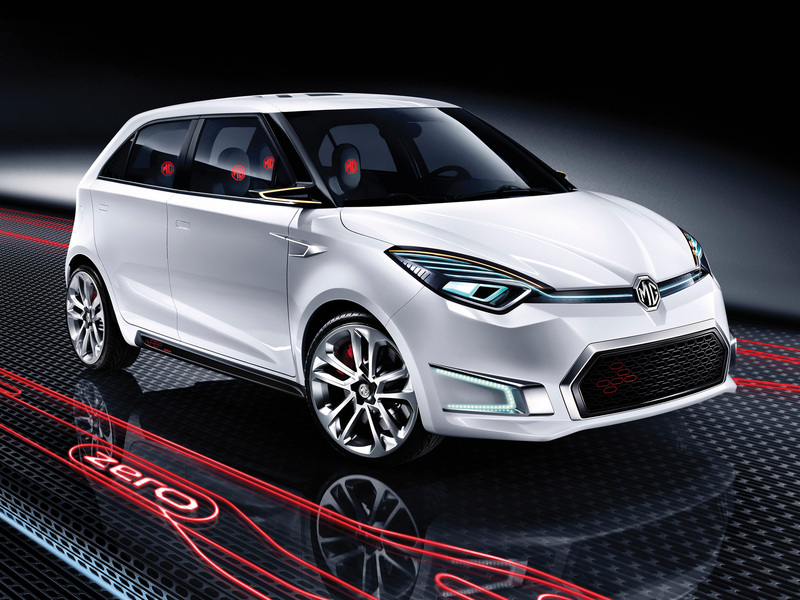 SAIC Motor has, as anticipated, officially unveiled the MG ZERO Concept car at Auto China 2010 in Beijing today. 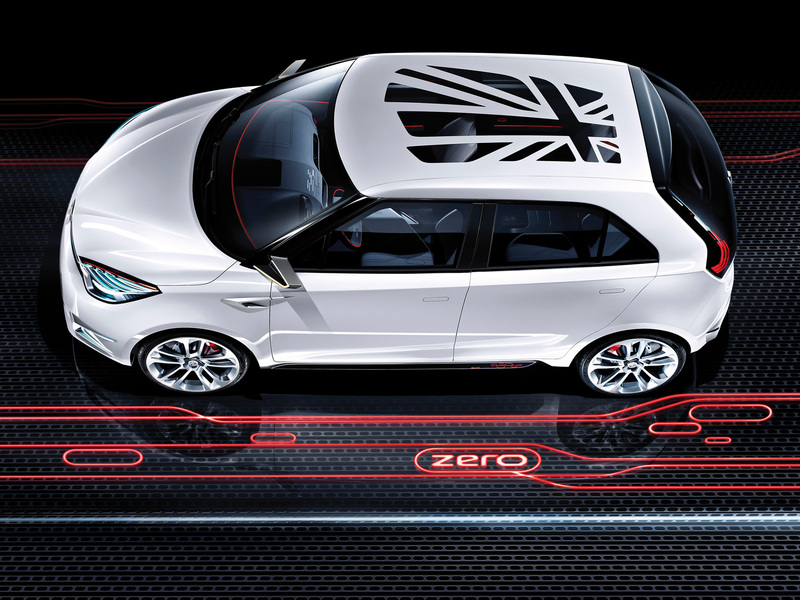 The Birmingham-based MG Global Design Team, led by British MG Design Director Tony Williams-Kenny, developed the MG ZERO Concept and the car now looks set to become one of the stars at what has rapidly become a globally significant automotive event. 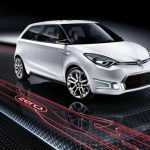 However, the ZERO Concept also demonstrates SAIC Motor’s design and engineering capabilities by showcasing several innovative features. The bold interior, which has clean and simple lines with high contrast flashes of accent colour, uses the latest technology touch screens to allow occupants to interact with the world around them and features a striking ‘floating console’ design around the driver. 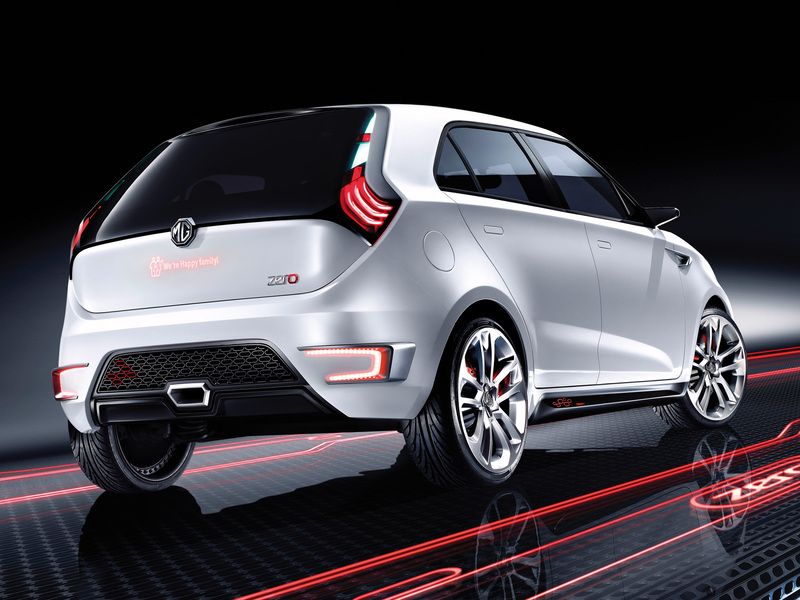 The high-tech materials used in the MG ZERO Concept’s interior are inspired by ultra high-performance sports while leading-edge interior lighting features are used “to create real emotion in the cabin.” The bold red-coloured illumination adds a touch of drama. 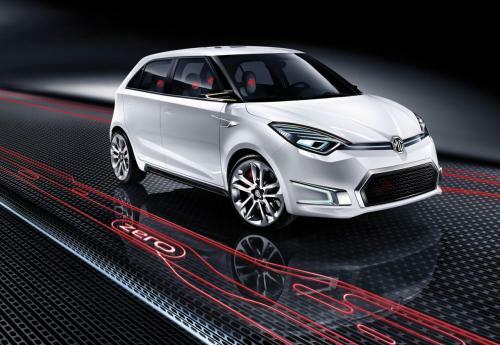 MG Design Director, Tony Williams-Kenny commented: “This concept shows a bold, individual soul. The bonnet is formed around the famous octagonal badge, the graphics flow into striking lamps and the large lower grille completes the confident, sporty character. This looks loads better than the MG2 and should go into production. 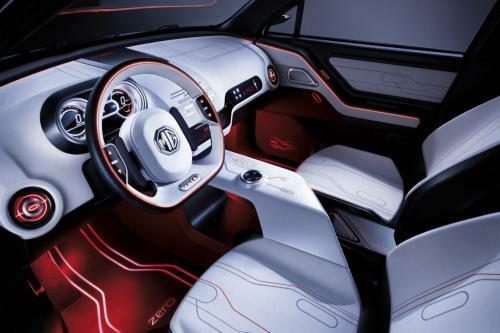 The interior looks to have been inspired by the MG EX-E Concept cars from the 80s. That’s more like it! Nice surfacing along the flanks, good stance – nose down, wheels out, just the opposite of the underwhelming MG6. Let’s hope they keep it like that for the production version. Isn’t it interesting that just about every car these days seems to have a grille inspired by the old Mini? Citroen, Ford, Kia – it’s everywhere! The first shots I saw were naff, especially down the back, but seeing these official pics I am taking back some of what I said. That rear door shape still irks me – it still looks like it belongs to a dull, three-box saloon (which it probably does) – but I love the rest of the detailing. This is much better than the MG2, it has style and presence. Not sure about the interior though – toned down or not for production, it doesn’t look like a very relaxing place to be! Ironically, I was just adding my Editor’s Note to the above article at almost exactly the same time as you were posting your comment! Anyway, in answer to your request, please now see: MG ZERO – Small, compact and set to be awesome! on China Car Times. I’m looking forward to seeing how the production version looks – and to some proper non-studio photographs too. …so this is what the Skoda Fabia vRS Mk2 SHOULD have looked like! A bit too much of the first-generation Fiat Punto around the high waistline, slab sides and C-pillar. Nose and tail aren’t bad though. Is this what MG is now – a saloon and a rather un-hot hatchback? 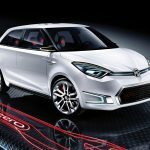 Sorry, but SAIC Motor has no concept of what MG was or is and it’s obvious that the British designers at Longbridge have little say in what end product will go into production. It’s all very sad! You’re right, of course. This is pretty much what happened to Rover 20 years ago when the brand character was severely diluted because it had to take on a mass market role. I rather think people have to get used to the fact that MG will now mean something different. MG has, in the past, meant fairly crude sports cars or warmed-up versions of saloons but that’s all pretty old hat now and of little to interest today’s buyers – hence the low sales levels achieved by MG Rover. 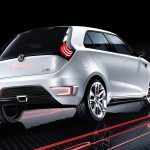 It’s clear from the ZERO Concept that MG will mean sporty, practical, stylish with the sort of stuff to interest the younger generation, like loads of kit choices, Android software and advanced entertainment systems as well as performance models. 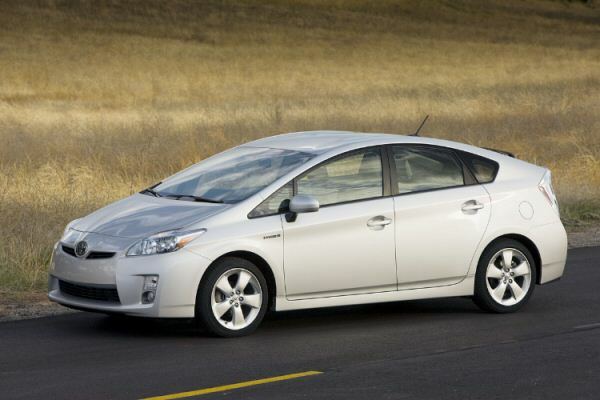 This is just what the brand needs to compete with the image leaders such as BMW and MINI etc. I hope you’re right but I’d be worried that, just like Rover, MG UK will find they have to sell downmarket models (1991 Rover Metro Quest anybody?) to get the sales up. The MG2 doesn’t have the heritage appeal of a MINI or a Fiat 500 and I wonder whether the name MG will be enough to give it that upmarket feel. Hmmm… a high waistline and (nearly) quartic steering wheel – if they’d round off the body and add MGF suspension, it’d be the Allegro Mk4! 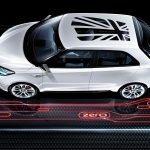 It must be remembered that this is no Project Kimber – although the UK and Europe are important to the Chinese, they are achieving sales in China and worldwide with the MG badge which would have had the Phoenix Four walking on air. Who knows what the production figures would be in a few years time if the Austin and/or Morris badges were to be developed for the small cars and, perhaps, Wolseley and Vanden Plas for the large cars? 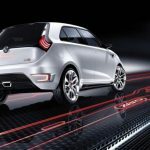 Agreed, it’s a great looking concept, but I just get the feeling that some of the freshness and innovation of the show concept will be watered down for a production version – it’s what the MG marque has done time and time again under a succession of owners. I just get the feeling that SAIC Motor really doesn’t have a clue about MG’s brand heritage – after all, if they can shamelessly chuck some MG badges on the Rover 75 Coupe which was a one-off model to commemorate the centenary of the Viking Longship and pass it off as an MG Concept (and nobody was fooled by it), then what hope is there? None of this is ever going to encourage me to support MG. I do, though, have good reason to be confident that the personnel at MG Birmingham are very conscious of the need to redfine MG in a manner consistent with both the marque’s sporting heritage and the demands of the Chinese and European markets moving forward into the second decade of the 21st Century. Blimey, I thought the same – a pity that the ZERO will be watered down when released. Hey, don’t knock it until you have seen it in the metal. I reckon that it looks pretty cool and would buy it. Well done! MG Rover is alive – albeit in a new form – in my book. All I ever remember was having British cars in my family. You don’t need to be over 20 to remember what Rover was about – cheap and over-priced products. The 800 Coupe was, in my opinion, the only Rover that was considered worthy enough as a true Englishman’s car. Its just another hatch. MG = 2 seat open top roadster or 2+2 GT road rocket. NOT CRAPPY HATCHES SUVs or Sedan/saloons. My every day car is a Honda Civic 1.8SE hatch but for pleasure I drive my original Triumph TR8. V8 roadster fresh air motoring brilliant. COME ON CHINA build an MGDr2 like the photos on ARONLINE 100,000 cars can be sold annually easy. The world and I would pay £18.5K for a 2ltr vvt and £24.5k for a 2.7Ltr turbo diesel aimed at Europe drivers and £29.9K for a 3ltr turbo V6 petrol car.